On Jan 15th, David Kelbaugh and Jamie Johnson sit down in David's home on the north side of Chicago to discuss how and why he left a huge advertising firm in Chicago to build a boutique agency. With customers like Goose Island and Verde Energy Efficiency Experts, Tacklebox serves a wide variety of customers and focuses on building your brand. Jamie and David discuss a bit about the venture capital scene in Chicago, and how it impacts growing firms customer development process. They also discuss the benefits of coworking spaces in early firm development, like 1871 and WeWork. Jamie: Welcome back to week six of the Verde Podcast. 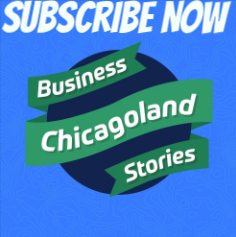 Every week we talk to local business leaders and entrepreneurs to understand the real story that doesn't make it to the spotlight, but is how actual businesses are built here in Chicago. Today we have David Kelbaugh, who is found of Tacklebox Brand Partners. Welcome, David. David: Hey, thanks, Jamie. Good to see you. Jamie: Good to see you again as always. I always like to start these stories, tell me a little bit about Tacklebox Brand Partners, how it started, what drove you. I know you in particular have a lot of big name brand agency experience, and what drove you to start your own company versus the path of growing in a bigger organization? David: Yeah. That's a good question. I think I've always known exactly what it is that I'm going to do for a living. What I didn't know is if I would do it for a big ad agency or eventually start my own, and I love branding, love marketing because it allows me to use both side of my brain. As I worked at the larger ad agencies around Chicago, what I quickly learned was they look for well rounded employees that can use both side of the bran, but very rarely can you find a job where you're permitted to use both side of the brain. The big ad agencies are so large that they have to have a process, they have to have rules and responsibilities. Everybody has their own lane that they have to swim in, and I kind of wanted to jump from one lane to the next because I love every part of this industry. I figured if I started my own company, I could allow myself to get into the lanes that I'm best at or maybe the lanes that I enjoy the most. Jamie: How much of your time- How old is Tacklebox? David: Tacklebox is about four years old. David: I've been in the ad agency world for 15 plus, although I can't believe it's been that long, really. We started working with nothing but startups our years ago with the belief that I hired a team that really wanted diversity in projects and clients, and again, you don't really get that at the big ad agencies. It's like you're going to work on Marlboro, you're going to work on All-State, you're going to work on Kellogg's, and who knows? You may spend your entire career pushing nothing but cereal or cigarettes. The team that I've built around me didn't really want that, so we've worked with I want to say close to 80 clients now in just four years, and that diversity really keeps us alive. Jamie: And still today, do you still work with larger companies or is it all startups? David: Yeah. We're not actively pursuing the bigger companies, but we're proud to call Goose Island a client, we're proud to call Proctor and Gamble a client. Very recently a Berkshire Hathaway company signed on with us, so even though we're not chasing them, they seem to be finding us, which I'm grateful for. Jamie: Now that you're running your own business, do you like the diversity of both the smaller and larger companies as clients, or do you long for a day where you could say no to the bigger clients? David: I love both. I love the passion of a founder but sort of the textbook marketing perspective of a marketing director at a large company. It's completely different. Founders oftentimes want their brand to be a reflection of them, and we can debate about the merits of that, but very rarely would a marketing director at a large Fortune 500 company want their brand to be a reflection of them. They're in for making money, and it's great to work with both of those types of clients. Jamie: You do a decent amount of work with venture capital firms and other kind of startup ecosystem folks? Jamie: Do you mind telling me a little bit about them and how they act? I would imagine they act more like a larger corporate client? David: Yeah. Over the past ten years, I think venture capitalists have done a good job of beating very metric based marketing into the minds of founders and co-founders. Cost per click advertising, cost per acquisition, cost per lead, and I think when you do focus on that lower funnel type marketing that the venture capitalists have encouraged companies to focus on, that leads to a pretty strong disregard for your brand and sort of the softer side of marketing. But what you'll find is if you do invest and if you do take the time to get your brand right, all of the lower funnel marketing metrics start to perform better. At one point when a company's path was determined by its cost per conversion rates, now it's that but now it's also brand appeal and media coverage. I think this has been a very good time for Tacklebox to work with startups because it's still metric and data based, but not as much as it used to be. There's more to it than just cost per acquisition. Jamie: So I know you know that I came out of 1871 with the first companies that were there, and we actually just interviewed Ryan from Revolutions recently, and that was fun to catch up with someone, because he's gone through a little bit of funding recently. Last year I think they had a pretty decent sized raise, and we were talking before the podcast a lot of how that's affected their strategy and their way for growth, and they're accelerating their customer acquisition. Because they raised the money, they spent that money on customer acquisition, so they have grown in an amazing fashion. I just find this curious because I had a lot of friends of mine that would go through and raise money, and they were so elated that first day they got that funding, and then for the next nine months they were feeling pressure that I had never personally experienced because I've never raised money. From a marketing perspective, do you find the startups that are funded by venture capital or outside capital to be willing to take more risk and do more exciting things from a marketing perspective, or do they? David: We don't work with a ton of funded startups to be honest with you. We've worked with a couple, and I'm trying to think how my experience with them differs from the experience of the others. On occasion, those types will say, "Well how do I justify that to my investors?" So there's a secondary. Any time we suggest that a client of ours undergoes a marketing initiative, they have to understand how to sell it upward, because on a weekly basis those investors are asking how's the money being spent. There's a little bit more extra work, I think, in working with a funded company. It's good. It shows diligence, but that's not something we have to deal with with non-funded clients. Other than that, I find there's not that much difference in terms of risk threshold between funded and non-funded in my opinion. Jamie: Yeah, I hadn't mentioned this yet in the podcast, but we actually use you to do our marketing rebranding effort. We had a great experience, which is obviously while we're still here talking, and a lot of what your approach was to interview our customers, which I thought was pretty brilliant. I would imagine, so what you just described, instead of going to the customers you've kind of got to go up, and that kind of would interfere a little bit with the process. That's something I always, take it from a guy who never sought or got funding, so maybe I'm just jaded in my own way, but I always get worried when people spend too much time pitching their concept to an investor, which is a customer lost, instead of focusing on the customer, which is what we were fortunate to be able to do. David: Yeah. Money raised seems to be now the holy grail for a company's success. I sent out a tweet, I don't know a few months ago, and I've been thinking about it ever since. I said, "When did the success of a company come to be measured by money raised instead of money earned?" It's so funny. All the headlines are "so and so raises 80 million dollars from," but we're not talking about profitability. I guess a lot of that's because private companies hold their profitability to themselves, so there's not much for the press to talk about other than money raised, unless of course you're a public company in which case profit and revenue is all freely exchanged, but I just guess being funded is a nice way to evaluate the success of your company, but I think that's a metric that's overrated personally. If you've seen the headlines, the bigger they are the harder they fall, especially recently. I'm like, this is like the best reality I've ever seen is the headlines on Cranes and Chicago Tribune. It makes for good reading, but I don't know. We never raised money either, and it would make me really nervous to do it. I don't like it. Jamie: Right. I think I come from a similar place where it's like I don't like using other people's money. I don't like spending other people's money, so I think I would've been a very terrible entrepreneur using venture funding, however if I do end up raising money in the future, I will delete this, edit this podcast, have that part removed. David: Yeah. I think there's, like, if you have a bunch of POs and you need to fund the manufacturing of something, sure, have at it, or a line of credit. I see benefits to that kind of funding, but eek, I don't need too many cooks in the kitchen. Jamie: Well, and I do see that there's definitely a place in the world that capital is important, and we've grown through our line of credit where we max it out and it was very painful. We just had to be patient. We couldn't grow as fast as we wanted about a year and a half ago, and I learned some lessons from that and it was painful, so I could see, especially when it comes to building something like software where there's very little. You have to build a product and then the ability to execute on one additional customer, the marginal cost is pretty low. Jamie: But I think sometimes people forget that business comes down to revenue and customers, and when you get too focused on building this amazing product, you forget about the customers. That's why I like your approach to marketing so much. Jamie: We got a little bit off topic, but it was fun for me. Jamie: I like to commonly complain about venture capital in marketing. What are some of your favorite parts about running your business over the last four years? David: I think what I love is that I'm now in business producing a product that's the single best way that I know how to help businesses. I've referred to myself as a one trick pony in a way. I cannot help raise money. I cannot help, the one thing I know how to do and the one thing I love to do is help companies show their face to the world in the right way. It's really rewarding, it's really gratifying, so I love to see that transformation from a company from what it was to a company that it is. I think there are so many companies that have great products, great services, but if their brand is not equally great or better, they're never going to reach their full potential. There's an inordinate amount of energy spent on perfecting the product, perfecting the service, and in my opinion, brand is more important than ever, so if you're turning your back on taking care of your brand just as you take care of your product, I think you're doing yourself a disservice. In fact, you saw our process, so you know that we build brands a lot like companies build products. We manufacture it, we test it, we refine it, we create a process or an operations manual to guide it, and then the rest becomes easy because the molds are in place. Your brand now has a mod and it's just a matter of manufacturing it and syndicating it through the channels that will help you reach your target audience. I wouldn't go as far as to say that we automate it. That'd be nice, but you can't automate the creation of a brand, but we do process it. We do build it a lot like a house is built or a product's built. Jamie: What's your favorite part of the, you're totally right. I saw your process. I can see how it becomes, it's a playbook, right? You run it and sometimes you make a little few changes, but you come out with a good product over and over again and it's important. What do you enjoy more, I'm just curious from knowing you. Do you enjoy the sitting with the customer and really closing the deal, communicating the value that Tacklebox Brand Partners brings, or do you like to go back after you get the customer interviews done and creatively whiteboard and just [crosstalk 00:14:26]. David: That's a great question. Again, I think the reason I never felt at home at a big ad agency is because I like to do all of it. David: I promise you, every single step of the way, I've built this company to be what I love to do, and I've been able to find people and hire people that love to do the same thing. I love it all. I probably am slightly more biased towards the new business at this point than I am the creative. Part of that's because I have some people on my team that are better at creative that I am, so I'll let them do the white boarding, and I'll kind of come in at the 11th hour and help them understand the difference between the great ideas on the board and the good idea. What do you like to do? Jamie: I don't like operations. From our business, it's really sales and then we have to execute on the sale. If I ever had to go over and start a new company, I always tell people this, do every part of the business but just myself, I would sell the concept, I'd go screw in the lights myself, I would do every part of it myself and not have the whole team, but now that we have the team, again, people that do it a lot better than I do, I don't like the operational part, so I just like the new business and sales. I like talking to customers and hearing their pain points, because it evolves constantly and it's a unique qualitative challenge to me, but the playbook, I get kind of boxed in of the same thing over and over again. I never liked that in any of my previous professions, so. We have a lot more customers. We could have a small customer with, we could go through five customers a day basically, which is much different, so that gets much more monotonous. It sounds like you've got 80 over four years, so 20 a year. There'd be a lot more. I'd probably be more inclined to be excited about that kind of business. Jamie: Yeah, I definitely love new customer acquisition. It's what I wake up thinking about every day. David: Yeah, right, because it's your business. You built the business both to make money, but also to be what you're passionate about, and who wouldn't want to convince others that it's a beautiful thing to do, because it is? Absolutely. That's great. Jamie: What is the most challenging time you recall at Tacklebox? David: Well, two points in our career. I think the first was just starting out when I had zero clients, zero sales. It was me in my basement with my laptop worrying about where the next paycheck would come from. Jamie: Had you quit your full-time job at that point, right away? David: Yeah. I had one paying client at the time, and I wasn't really sure of myself at that point. I had no proof that what I'm doing actually works, so I had a hard time charging fair market value for my time. My wife was like, "How long is this experiment going to happen?" One client became two, became three, became four, so I kind of got over that nervousness, but it took six months I think before I felt like I really had something here, and I'd say the second hardest time is right now. I often refer to Tacklebox as the awkward tweenager. We're kind of small but kind of big. It's that scaling. Everyone talks about how hard it is to scale a business, because that's when you have to make investments, and that's when you as a founder have to let go and lengthen the leashes to your employees. It's hard. it's hard to figure out what that length of leash would be. I guess, honestly, back to our funding conversation, if I got a million bucks in funding, not that I'm looking for it, I think that would make my decision of how long the leash would be a lot easier, because I'd have budget to fund this person and this person and this person and this person. I could more easily put a staffing plan to a stable million dollar check than I could revenue that ebbs and flows. That's the hardest part. Jamie: Yeah, we have a similar issue where we get a bit cyclical, so last year there was one month we did over $500,000 revenue, and then we had a couple probably two or three months a different time of year that were more in the half of that size. Jamie: So my biggest fear today is hiring a bunch of team that I'd then have to let go. Sometimes that drives me to make really poor business decisions because of my fear. Jamie: I could see how the funding would help you be like, "All right. I've got nine months of runway. Better spend it, and let's go." David: Yeah, here's your goals everybody. If you achieve these objectives, we're going to be able to pay our money back to our investors, but there's no black or white when you're self-funded trying to scale. Jamie: Yeah, scaling is really tough. David: Well, you've done it well. You seem to be hiring. Jamie: Yeah, I don't know if I've done it well. We've done it. I'm not sure I'd describe it as well because I do let fear drive a lot of my decisions, and I have to let those go. I need to go see Yoda in the dark side somewhere to kind of let go of the fears that I have. Every year I get a little bit better where I have an experience to be willing to be like, "Okay. I know." I was really worried in December and November about having a really slow time. We made things happen, and I have to have more confidence in the team and let that leash go a little bit longer and let them run and trust, and it is hard. It becomes your baby and it's hard to let other people. I want to be a boss, or I want to be an owner that lets the team run, and I just kind of watch. That's who I want to be, but who I am in real life is totally different, I'm sure. David: Oh, I know. It's so hard, and part of that's because you spent so much time doing it yourself. I think the first, what, five years you were kind of a solopreneur? Jamie: Yeah, it was four years. David: Four years, so you know every little nut and bolt of how things are done. The fact that someone walks in with a nail instead of a screw to solve a particular problem, you're like, "Um." Jamie: The only benefit I've got is I'm terrible at paying attention to details, so sometimes things, infrastructure builds around me without me even knowing. Jamie: But I'm pleasantly surprised. David: Yeah, that's a good idea. Jamie: Yeah. So I feel like we could probably talk for 20 more minutes about that, but I'm going to head into my last question for you. Jamie: Tell me a little bit about your experience making sustainability a priority in your business and how you operate it? I know that you are a unique business where it's very service-based and very people based. You don't need a huge warehouse or a manufacturing facility or a kitchen, so how does that play out in your decision makings of running Tacklebox? David: Yeah. I call myself a sensible environmentalist. I couldn't see myself adding an hour and a half to my commute to reduce my carbon footprint a little bit, but at the same time, when I have the choice between taking an Uber or an Uber Share, an Uber Pool or whatever, I'll do the Uber Pool. That's a more sensible use of car emissions in my opinion. I'll turn out the lights when I leave the room. My team and I, we looked at probably 30 offices of our own, and they all felt too big, and I think part of that was because it was the environmentalist in the back of my head thinking this is a lot of space for a team that's five to ten people. One its biggest day, we're only ten people, so that's when we started to look into coworking. You were at 1871. We decided to go with We Work in the West Loop. The office is small, but it's not more than we need. The lights are shared, the printer's shared, the paper's shared, and I've tried to think long and hard before I hit print as it relates to paper usage, which is not exactly something you guys work on, but when I have the choice between saving a PDF or printing it, I'll save it on to my computer. I've always, always been a big public transportation fan. I think despite its ups and downs, the trains and the buses here in this city are really well-run. Jamie: Especially when you have a day like today when it's snowing out, being able to hop on that train and not have to worry about the roads being slippery. It's pretty incredible. Jamie: It's an incredible asset the city has that doesn't get discussed. It's just kind of thankless job the CTA does. Now, the buses aren't always on time and they're not great, but the trains run pretty smooth. Jamie: When you're at We Work, I'm curious if you ever thought about, because 1871 kind of had this number where once you got over five people, it was often cheaper to have your own space. Didn't mean it was easier, because then you've got to maintain your own computers and printers and things like that. Is there a number of staff at Tacklebox where it becomes more cost effective to move out of We Work? Or you would still choose to stay there because of the benefits of shared? David: The latter. I'll tell you, I like it there, but my team loves it there. As a company of five to ten people, it's hard to form a company culture, and that place, We Work comes with a bit of a company culture. It's social, there's things to do, it's loud, it's cool, so the younger people on my team love it. I wouldn't want, I'd feel like I'm pulling the rug out from under them if I moved to save a few bucks. Not to say that it won't happen some day, but I was talking about moving out of it right before Christmas break, and it did not go over well. My team loves it there, and I get it. It is pretty simple living. It's almost like a retirement community for cool kids where everything's taken care of. You don't have to remember to order paper or coffee. It's cool. We like it a lot. Jamie: Well, the West Loop is great too because it's that central hub. All transit is designed to go there, so you can't have a bad commute getting there. David: The one gripe is I wish there was less expensive lunch places around there. It's hard to get a four dollar sub in that neighborhood, so I'll bring my own lunch most days. Jamie: Yeah, well, maybe there's another startup idea there. Jamie: Shared lunch spaces. Non-expensive. David: Yeah. But I will say this Jamie, if I had larger space and if it were space of our own, I would seriously put some thought into your approach to saving money as it relates to electricity, but the fixtures are kind of beyond my control at We Work, and I can't really adjust the thermostat. I can't do all the smart things I know that you know are good ideas unfortunately. Jamie: But you could have a space with the most efficient lighting ever, and at We Work, even if it's less efficient, if it's shared it's by nature more efficient. It's counter-intuitive sometimes. Jamie: But I'm sure since they have a usage, I'm sure they've probably put some good thought into it. David: Yeah. I bet they have. Jamie: Yes. Well, I appreciate you being with us here today, David, and I look forward to sharing this with the world. Jamie: Thanks for being here. David: You're welcome, Jamie. Take care. Did you know you can sign up for a free energy efficiency assessment for your business through our simple, easy-to-use online form? Find it here to start finding those hidden savings within your business!